Sleep, the more we get the better we feel. And, if we don’t have our fair share of Beauty Sleep, it’s a grumpy day ahead. Our little babies need much more sleep than us. It is crucial for their initial growth and development. Toddlers who have adequate 10 -12 hours of sleep are happier and more cheerful. Their mom’s would vouch for a baby who has slept well would wake up fresh and be active for longer. While it is important that your child sleeps adequately it is also essential to incorporate good sleeping habits and now is the best time. Is your child sleeping comfortably, independently, a regular sleep time and cycle, etc. These are some questions that you need to ask yourself and apply the solutions accordingly. Sleep Cycle – As much as adequate time is necessary, equally important is to form a regular cycle with it. Once they start school, it’ll become much easier to have a routine especially if it is started while they are still younger and easier to handle. Sleeping Independently – This too should start when they are as young as possible. Lot of people may have contrary views to this, not safe to let the child sleep alone, what if they wake up or get scared at night? However, we do have Baby Monitors, Gadgets etc to monitor all this. Also, our instincts can never go wrong. We need to be strong and convince ourselves first that it is the right choice for our baby. Constant Encouragement – When you do gather the courage to shift your toddler to the nursery and their own bed, make sure you constantly encourage them to sleep on their own. Make the nursery and their bed likeable and conducive to their choice. They should be happy about sleeping in their own space and enjoy their sleep time. Special Bedtime Moments – Most children try and fight sleep as they feel it cuts down their time for fun and merriment. To change this, bedtime should be made as enjoyable as possible. Maybe reading to your little one or asking them to recount their day, etc. These small special moments add value not just to sleep time but also a bond between you and your child. Be Strong – The shift to another bed or another room is going to be hard on you as well as your child. Initially, you may find a crying toddler next to you, begging to sleep with you. Steel of nerves would be required. Take your child back lovingly to their room and calmly make them understand that they need to sleep in their own room. Stay with them a little while longer too if required till they drift back to sleep. 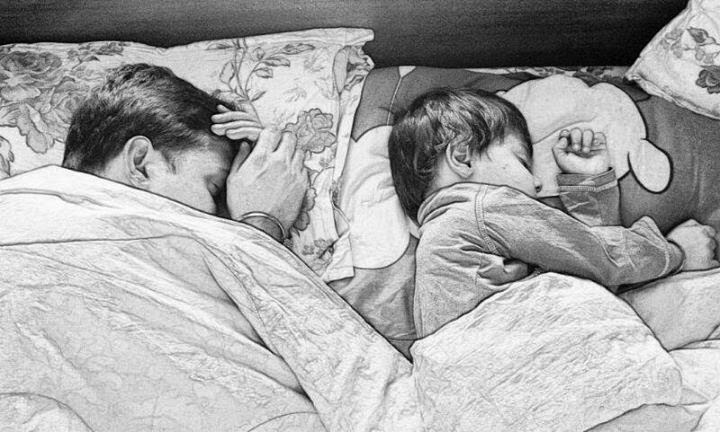 Fear of the Unknown – Till your little one slept next to you, they had a feeling of security. Your occasional touch or hold was good enough for them to sleep peacefully. Once they are on their own, they will feel a little daunted and insecure. Make sure that you take care of this from day one of their sleeping alone. A night lamp will give them ease of not being in total darkness. You could also tuck in their favourite toy, gives them a sense of security and belonging. Tuck in your Child with Love – After you have finished the night time routine, always tuck in your child and give a kiss on the forehead or a hug. Excess of it won’t hurt. Previous Post Planning Your Baby’s Nursery!